This page provides you with Executive Director resume samples that you can use for inspiration in writing your own resume, or for creating one through our easy-to-use resume builder. Below you'll find our how-to section that will guide you through each section of a Executive director resume. As an executive director, you have designed, developed and implemented strategic plans for one or more organizations in a manner that is both time and cost efficient. You are an expert (even if you do not like to consider yourself so) and you are definitely in high-demand! Quite a few companies are looking for someone as great as you to take care of the day-to-day operation of their company. Who would not want a leader and a great mentor to their employees? Thing is, as great as you are, it is not easy at all to come up with the perfect Executive Director resume that will stand out in front of the recruiters’ eyes. Don’t worry: if you hope to take on the role you have always dreamt of, we are here with the best executive director resume sample that will help you get as close to perfection as humanly possible. Let us inspire you like we had before with many successful executive directors: they have now reached their dream jobs. We can ensure you include all the necessary points and avoid the things which might get you turned away! How to Write a Executive Director Resume? Before you start crafting your resume, we strongly suggest you sit down, relax and think about your past. Your education, your first job, your top achievements, even the failures. Don’t fret, there’s no need. Take your time to brainstorm what you believe must be on your resume, what you are most proud of and what will definitely shine. Be the professional you have been throughout your career and do not rush: not only this will potentially lead to mistake, but you might also miss some fundamental details of your life and career you definitely want to include. Make sure your resume is legible, with clear fonts and lots of white spaces: the recruiters will love you. And, as much as we love Microsoft Word, it unfortunately does not keep the layout intact in most occasions: save your resume as a pdf., trust us and our experience here! A summary can impact your resume. Summaries can often be the tool used to help summarize you and make people take notice. 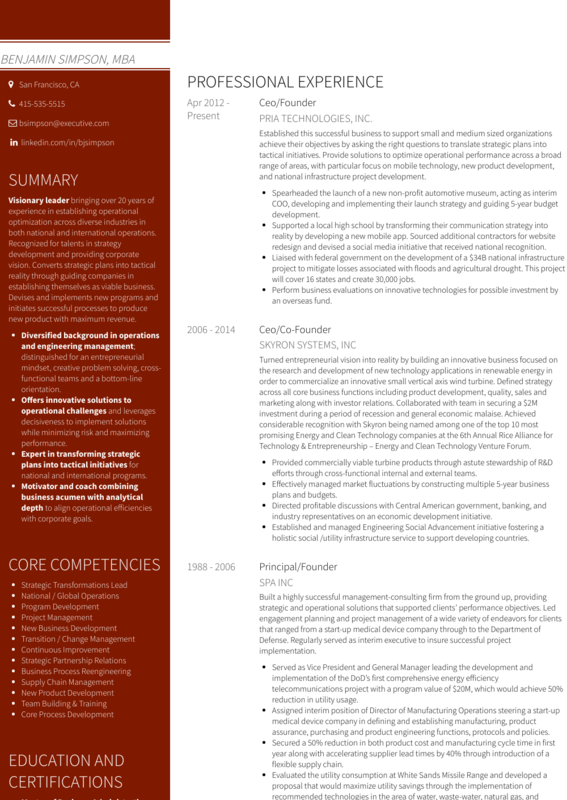 Without one, resumes can look a bit generic and boring on some levels. Anyone who wants to get noticed will have a summary included with the resume. It’s not too difficult to attempt and we can help you create a stunning summary. Discuss talents relating to the role. Submit unprofessionals photographs of yourself, let alone selfies. Try to be too modern in your words. Congratulations! An employer has liked you well enough to read onto your work history and that’s a great achievement! Anyone who looks to your work history likes what they’ve seen so far and this is really important. Work history talks to employers about your potential as an executive director and you want to put in the most relevant information to attract the employer’s attention. The tips below could potentially help you. Start with your last paid employment. Talk about your top achievements. List briefly skills you have to suit the position of executive director. Discuss personal information about people you’ve worked with in the past. Include more than three or four work experiences. For more tips on writing the best work experience section for a successful Executive Director like you, check out our detailed resume guide. Nervous about education? There are thousands of candidates who have risen through the ranks in a corporation with only a high school education behind them. It’s possible and it’s nothing to be ashamed of. If you are one of these people or are worried about how your resume lacks education, don’t. Yes, education matters but employers also want to see your experience so don’t count yourself out just yet. What sort of classes you undertook. What degree you left with. Recruiters want to take a look at your skills and fall in love with you. However, be warned there are new digital forms to help recruiters narrow down the list of potential candidates and that means you have to optimize the resume to avoid being left out. You really have to focus on the skills you include and ensure they are actually related to executive director requirements. You are going to have to include soft and hard skills but this is extremely easy to do and certainly something most people will find useful. We can help you to understand what hard and soft skills you have. If you want to make your resume look even better, you should definitely get yourself a cover letter! Check out our tips here. Ensure you have a logical order. Cram in lots of information – employers sometimes wants to see a few gaps in writing. Avoid information that won’t help you get the job. We have given you tips for the best Executive Director resume sample: now, if you are also looking for fantastic Executive Director resume templates, you should check this masterpiece we have been working on here : many professionals like you have successfully used it to take their career to the next level.